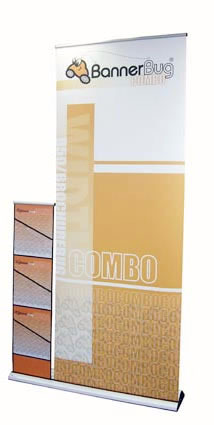 The Pix80 is the most economical option of our Premium Pull Up Banner Solutions. With its standard Visual Display area of 2100(h) x 800 mm (w) makes it the perfect marketing companion for all of your portable presentation requirements. With included carry bag. 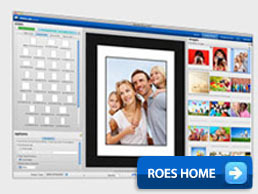 Download Printing Specifications for Banner PiX80 Here. 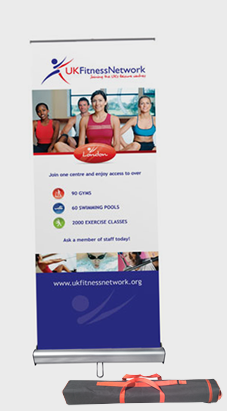 The banner bug is an instant presentation that travels light and speaks for itself. 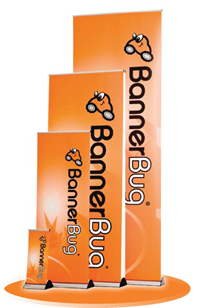 The banner bug rolls up in seconds, and is the companion for all your marketing needs. 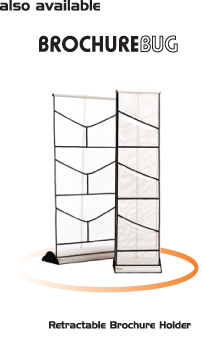 The graphic is protected within the base unit, reducing the likelihood of damage to your valuable investment. 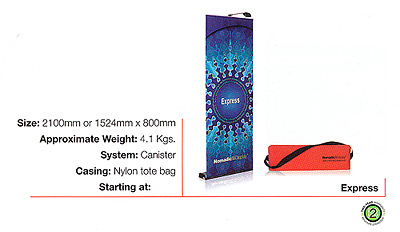 Available as a single or double-sided display the banner bug comes in a variety of sizes with a carry bag. 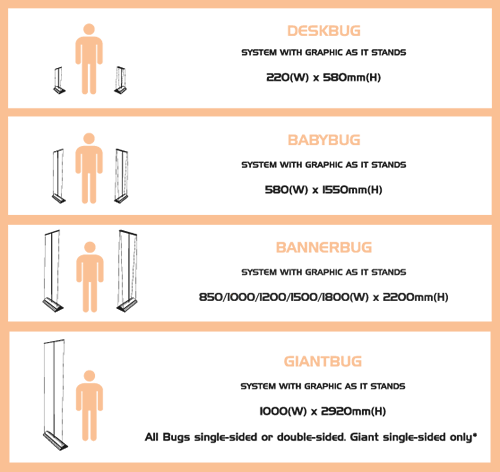 Download Printing Specifications for Banner Bug Here. 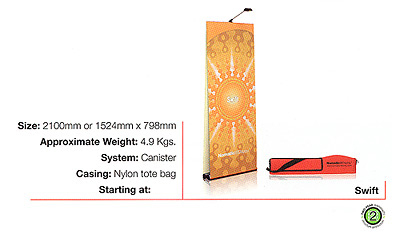 BannerBuddy is a non-retractable portable banner stand. Available in 3 widths, 580mm, 850mm and 1000mm, BannerBuddy is available as a single sided display with a super sleek, modern look. Best of all, BannerBuddy is lightweight, easy to use and the graphic panel can be changed at any time. Download Printing Specifications for Banner Buddy Here. Download Printing Specifications for Brochure BUG Here. SignLine supports six different graphic sizes, can be presented as a freestanding or wall-mounted display, and is light enough to carry in its own nylon tote bag. And SignLine is backed by our exclusive "No Questions Asked" Lifetime Warranty. This retractable banner stand sets up as a full-height or tabletop unit, giving you the presentation flexiblity you need. Plus, it comes with two built-in graphic roller cartridges. Start with a single graphic and add another anytime. Light pack in a clever pouch that zips "piggyback style" onto the shoulder bag. 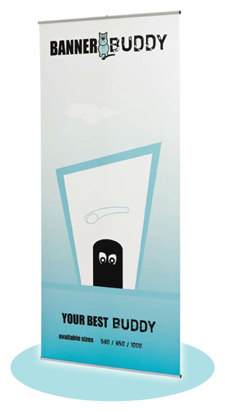 Built for convenience and speed, the full-height retractable banner stand deploys in seconds, commanding attention in any sales environment. Only Express has a built-in brush to skim the graphic surface for a dust-free presentation every time it unwinds.